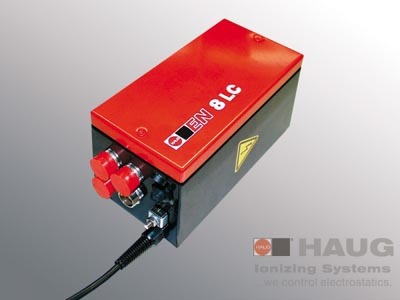 The EN 8 LC power pack supplies voltage to ionizers. The mains voltage is transformed into a 7–8 kVAC by a high-voltage transformer. Identical to power pack EN 8 LC, but without integrated watchdog function. We would be pleased to provide other configurations on request.